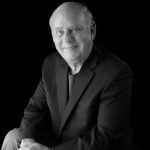 Mr. Stone has over 45 years of real estate related experience in varied real estate and real estate related corporate disciplines. Within the past 45 years Stone had nine years in corporate and bank subsidiary management specializing in appraisal, regulatory and real estate issues; appraisal management, appraisal review & field work. Ten years as a property manager/builder/developer/Realtor® engaged in commercial and residential projects including real estate brokerage, land development and custom home builder. He is a Certified General Real Estate Appraiser licensed in Arizona (30853) and has held a Certified General license in Massachusetts (license # 3172). Additionally, Mr. Stone holds multiple designations and memberships in nationally recognized professional organizations since 1972 and has held a Real Estate Broker’s license in Ohio, Oklahoma and Arizona. Mr. Stone has held continuous professional appraisal designations (Certified Appraiser – Senior from American Association of Certified Appraisers and IFAS from the American Society of Appraisers (formerly the National Association of Independent Fee Appraisers), since 1985 with continuous membership since 1986. He has also had continuous membership in the Coalition of Arizona Appraisers since 2010 and Arizona Association of Real Estate Appraisers from 2008 and currently serves on the Board of Directors as Treasurer. New England (Chief Reviewers of many New England Banks) and has received several citations for outstanding achievement. Instructor – Appraisal and Realty courses. 5 unit + apartment complexes. Manager – Appraisal Review & Ordering with a staff of 12. What’s Your (appraisal) Time Worth?